This group is part of the Advanced Fibre Technologies & Applications Group led by: Prof. David Richardson. The person responsible for the Optical Fibre Communications Group is: Dr. Periklis Petropoulos. The development of optical fibre communication systems is arguably one of the greatest engineering achievements of the past century. Developments in fibre technology have revolutionised society, allowing first low-cost, high-quality voice communications, and more recently the development of the internet. To date fibre has been deployed primarily in the core network where the bandwidth requirements are highest, with the drops into the customer premises through copper wire. However, over the past few years, Fibre to the Home (FTTH) is also now being deployed (most notably in the far-East to date) opening the possibility of high bandwidth transmission directly into the home. This development has and will continue to open up a host of new service opportunities including video-on-demand, HDTV and internet gaming amongst others. 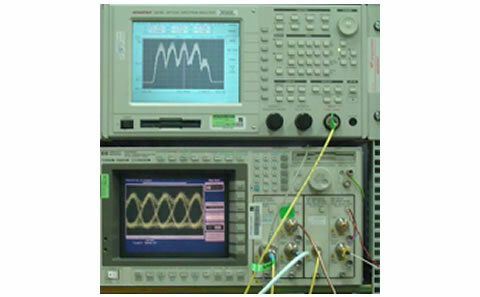 The ORC has been at the forefront of optical fibre communications since the very earliest days of the field providing several critical contributions over the years. Arguably the most important of these was the discovery of the erbium doped fibre amplifier – a device that eliminated fibre loss as the fundamental limiting factor to signal transmission. 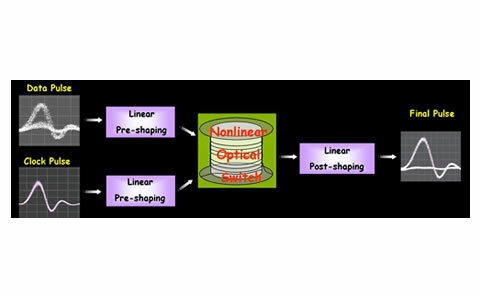 Despite the recent downturn in communications, optical communications remains by far the largest market for photonics and as such it represents one of the ORC’s primary research areas. 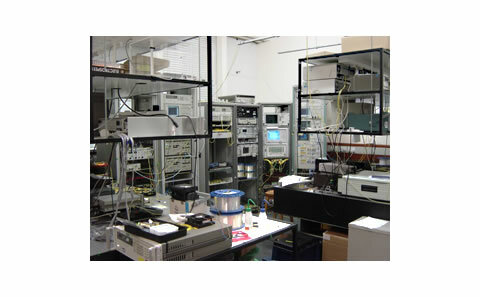 The group operates in a suite of three well appointed laboratories, including a state-of-the-art optical communications system laboratory equipped with the equipment required to undertake optical transmission and data processing experiments at bit rates of up to 160 Gbit/s and DWDM experiments at channel counts of up to 40 wavelengths. The majority of our non industrial funding is currently obtained through the EU where we are project partners in projects TRIUMPH, e-Photon/ONe and ePIXnet.